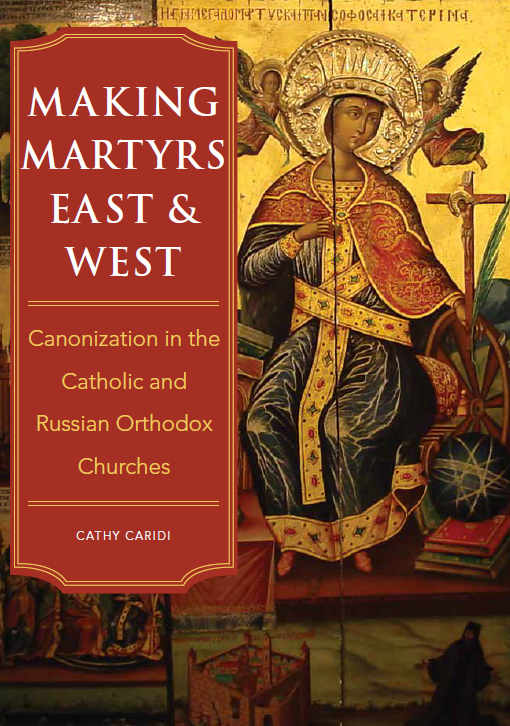 ← When Does a Catholic Book Need an Imprimatur? 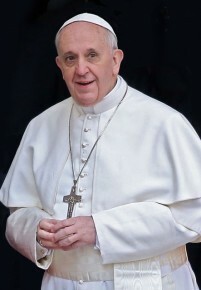 A: As we have seen so many times before in this space, the Catholic faithful have the right to receive the sacraments, so long as they ask for them opportunely (i.e., at an appropriate time), are properly disposed, and are not prohibited by law from receiving them (c. 843.1). So are the rights of Michelle’s unborn grandchild being violated in this case? The baby’s birth is expected in late February, and the parents are thinking ahead with regard to the baptism (would that all Catholic parents would do the same!). They have already contacted their parish priest to discuss preparations. Canon 851 tells us what this involves: with regard to the baptism of a child, the parents are to be suitably instructed on the meaning of the sacrament of baptism, and the obligations attached to it. The pastor of the parish is responsible for making sure that this preparation takes place—either by handling it directly himself, or by arranging for others to do it (c. 851 n. 2). It would appear that the parents of Michelle’s unborn grandchild are completely willing to do this, so there is no problem in this regard. If, in theory, they were to balk for some reason at the requirements for baptism-preparation as established in their parish, the priest could indeed decline to baptize their baby—because in that case he could reasonably conclude that they are not “properly disposed,” as required by the abovementioned canon 843.1. But the problem in this particular case is not that the child’s parents are unwilling/unable to prepare for the baptism, or that they are not planning to raise the baby as a Catholic. Rather, at issue is a rule that has been set by the pastor of their parish, that no child of the parish is baptized until he/she is four months old. Can he do this? As we saw in “How Soon Should a Baby be Baptized?” canon 867.1 asserts that parents are obliged to see to it that their infants are baptized within the first few weeks of their birth. The canon adds that as soon as possible after the birth—or even before it—parents are to approach the priest to ask for the sacrament for their child, and to be duly prepared for it. And as we’ve just seen, this is exactly what the parents in this case have done. Speaking generally, it could certainly happen that parents might request that their child be baptized on a particular date, which the parish priest is unable or unwilling to accommodate. Perhaps he has two weddings scheduled on that same day; or he may already have arranged to have surgery that week, and knows he’ll have to take it easy for a couple days afterwards. Or in a huge parish where there are many families with young children, baptisms might routinely be scheduled for (let’s say) Saturday mornings only, with several baptisms always being celebrated at the same time. The pastor of the parish would not be violating anybody’s rights by saying, “I know you’d really like to have the baptism on Friday, but in this parish we celebrate baptisms during the 10:30 Mass on Sundays,” or some such thing. In such a case he isn’t refusing to baptize the baby, or deliberately postponing the baptism; he’s merely trying to juggle dozens of events on the parish calendar! But note that this calendar-juggling cannot conflict with canon 867.1’s requirement that the baptism of an infant take place as soon as possible, in the first few weeks after birth. There are important theological reasons for this. The Catechism of the Catholic Church notes that Christ Himself affirmed that baptism is necessary for salvation (CCC 1257), and that even innocent children, who are born with original sin, need baptism to be freed from the power of darkness and to become children of God (CCC 1250). Since canon law follows theology, it should not be surprising that this teaching also appears in the Code of Canon Law, as canon 849: through baptism we are freed from original sin, and made members of the Church. The pastor of this parish, by setting an arbitrary minimum age across-the-board for receiving the sacrament of baptism, is directly contradicting both Catholic sacramental theology and canon law. He is refusing to baptize newborn members of his parish, not because their parents are unprepared for the sacrament, or unwilling to raise their baby as a Catholic—but merely because he has randomly decided on his own that the babies are too young. It is difficult to imagine a more blatant violation of canon 867.1. Yet by unilaterally establishing a rule that no child is to be baptized under the age of four months, that is precisely what the pastor of this parish is doing—he is preventing little children coming to Christ through the gift of holy Baptism. Imagine, if you can bear it, a scenario in which new parents from this parish contact the pastor to arrange for the baptism of their new baby, but the pastor insists that they have to wait several months…and then the baby dies suddenly in the interim. One day, that pastor will have to stand before God and answer for this, since the baby died without baptism entirely through his fault. It should be a terrifying thought for any parish priest, since he is charged with an awesome responsibility for ensuring that his parishioners are nourished by the devout celebration of the sacraments, as canon 528.2 puts it. So what should the parents of Michelle’s unborn grandchild do about this? The answer is simple: take the matter to the diocesan bishop. Logically, he should immediately put a stop to this outrageous abuse at their parish, and make sure that their baby is baptized promptly. Michelle and the parents of her grandchild might not be able to celebrate the new baby’s baptism on Easter Sunday, as they wish—although it may be possible to have the baby baptized instead on Holy Saturday, during the Easter vigil (which canon 856 mentions as a particularly appropriate day for a baptism). But even if they can’t have the child baptized on their preferred date, the law still requires their priest to perform the baptism as soon as possible after the baby’s birth, so long as the parents are prepared and properly disposed. This part of their request cannot be refused—because it is their right. This entry was posted in Baptism, Parish Life, Sacraments and tagged baptism, canon law, Catholic, infant, parish, pastor. Bookmark the permalink.